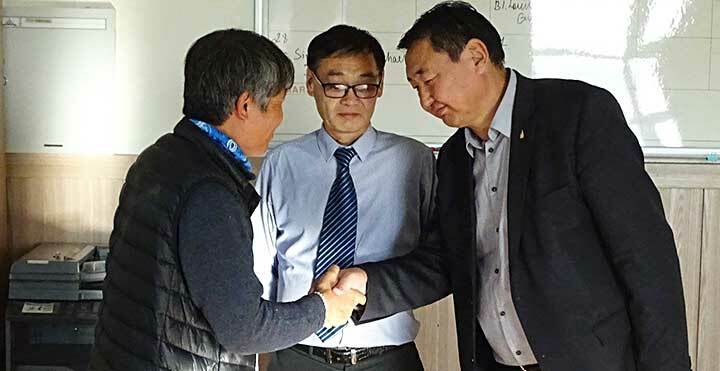 Darkhan, Mongolia, 17 October, 2018 -- On the occasion of the 57th anniversary of the foundation of Darkhan city on October 17, 2018, Mr Nasanbat the governor of Darkhan city, sent his two representatives, Mr Erdenebileg, the head of the education and cultural department and Mr Jhargalsaihan, the head of the non-formal education department, to present an award to Fr Simon Lee SDB. The Award-giving ceremony took place in the staff room in front of all the staff and Salesians. Before presenting the award, Mr Erdenbileg appreciated the work done by the Salesians for the young people of the locality. "It is one of the top awards in the field of education. It is almost an extraordinary award" he said. He thanked Fr Simon for his whole -hearted commitment to serve the children and to train the young people to be good citizens. After that, Fr Simon Lee too spoke a few words saying it was his pleasure to continue to work for the development of Mongolia and with the cooperation of the leaders of the Darkhan he could do even more. Fr. Simon Lee, SDB is one of the pioneers of the mission in Mongolia, which began in the 2000- 2001. 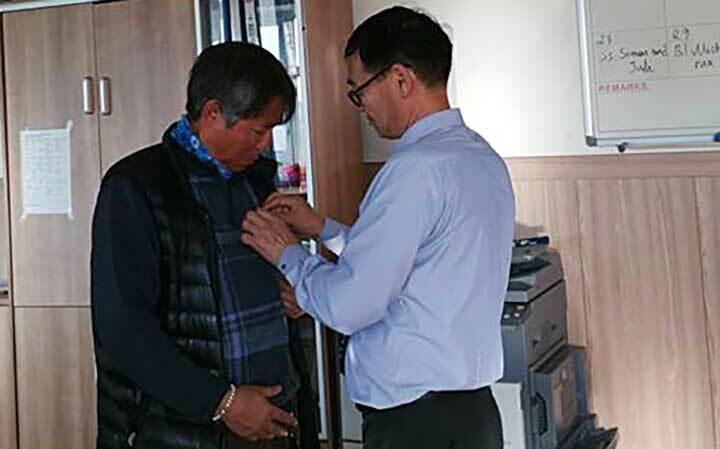 He has been working in Darkhan city for the past 14 years in various capacities. 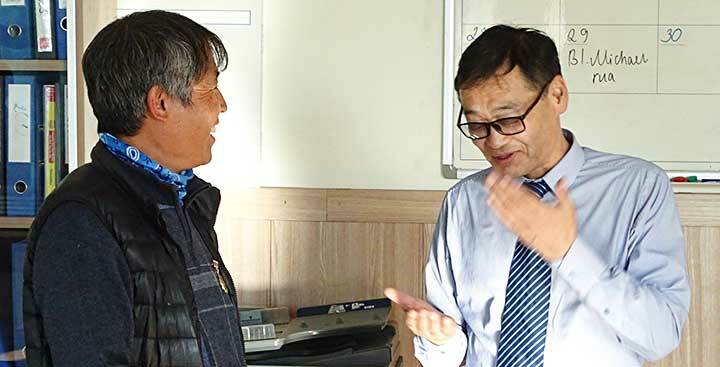 At present he is the Rector of Darkhan community, is running a printing press, and he is very much involved in farming and the youth centre. The Delegation of Mongolia expresses its heartfelt appreciation and gratitude for his selfless dedication to serving the young in Mongolia. Congratulations Fr Simon Lee!